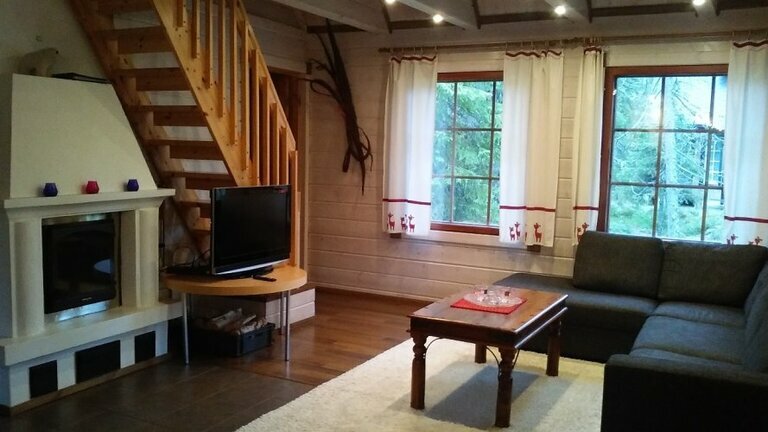 A nicely furnished and cozy two-storey cottage. 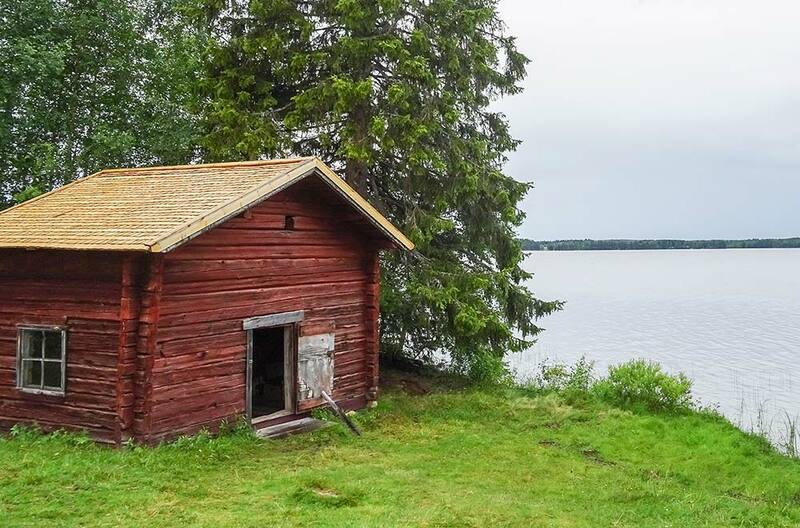 sauna and bathroom with shower and toilet. Upstairs one bedroom and a spacious lounge. 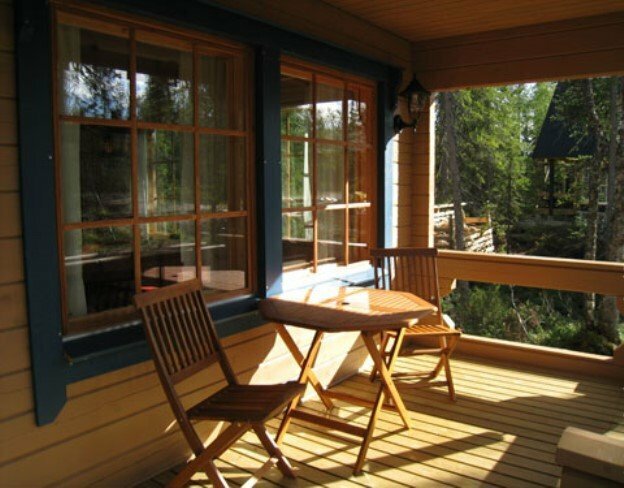 The cottage has a balcony and a furnished porch. 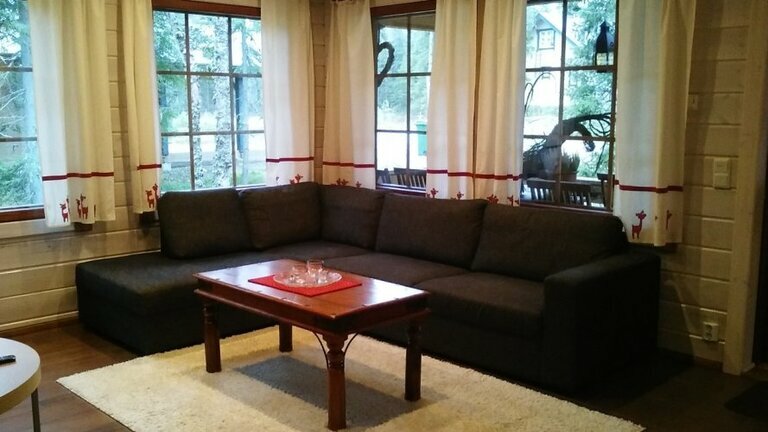 TV, radio/cd, DVD, fireplace, firewoods, washing machine, drying cabinet, pillows and quilts. 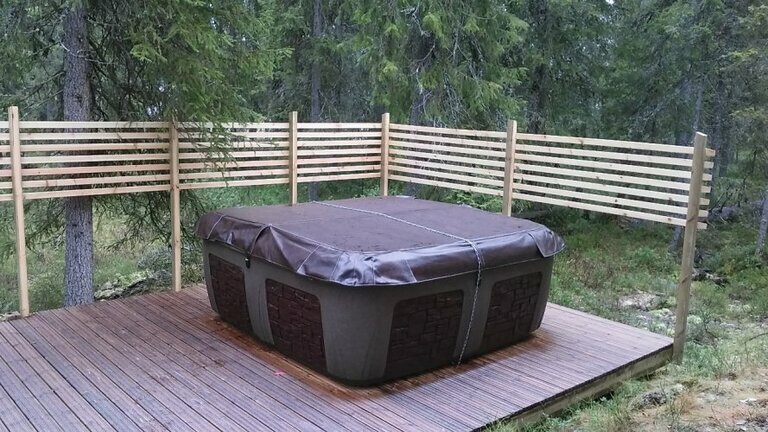 gas grill and a little bit luxury - an outdoor jacuzzi! pets 35 €/stay, final cleaning 75 € during 30.4.-30.11.2018. Very good location near the base of Iso-Syöte. Easy access to an illuminated cross-country skiing track. 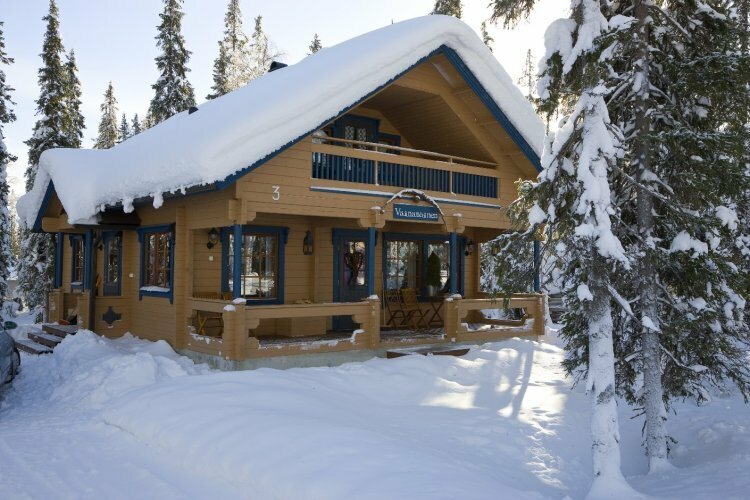 Ski lifts and all services are within a short walking distance. A splendid variant for family accommodation!